"This is what the next generation demand and London has heard it loud and clear. 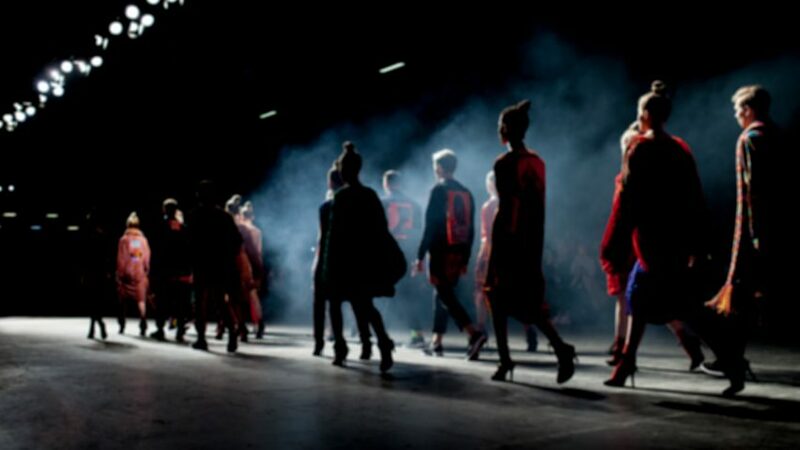 Thank you, London Fashion Week, for showing others this is the way forward in fashion," she continued. The number of anti-fur protesters at London Fashion Week has risen from 25 in 2016 to 250 last year. Earlier this year, a protester stormed the runway of Greek designer Mary Katrantzou during her AW18 show in London to protest her use of fur – a claim that she later denied. Caroline Rush, chief executive of the British Fashion Council told the Guardian that the announcement "highlights a trend we have seen over the past few years, with more and more brands deciding to use alternative materials to fur". British Fashion Council "encouraging designers to make ethical choices"
"The British Fashion Council supports the creativity of designers and keeps an open dialogue with the industry, from designers to media, retailers, business leaders, government and global brands while encouraging designers to make ethical choices when it comes to their selection of materials and supply chain," read an official statement. Italian fashion house Gucci has also announced its decision to go fur-free last year, with company president Marco Bizzarri describing the material as "outdated". Other fashion brands to ditch real fur include Armani, Burberry, Versace, Gucci, Ralph Lauren and Vivienne Westwood. An increasing number of designers are making moves to sustainable, cruelty-free design. Earlier this month, Stella McCartney teamed up with Adidas on a leather-free, vegan edition of its classic Stan Smith shoe.